Big Drop Brewing Co specialise in producing low-alcohol beers. This pale ale – imaginatively called “Pale Ale” – was its second brew, the first being its award-winning milk stout. The head brewer at Big Drop, Johnny Clayton, is renowned for experimental brewing. 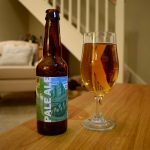 And because Big Drop doesn’t remove alcohol from its beers, Johnny’s used a few creative tricks in the recipe to produce a low alcohol pale ale to rival standard alcoholic versions for taste, aroma and mouthfeel. Firstly, there’s added lactose. So it isn’t suitable for vegans (lactose is a sugar derived from milk). Brewers usually add lactose to stouts to add sweetness. Here it provides a bit more body than you’d typically get in a low ABV beer. The lactose also adds a few more calories to this brew. But there’s still only around 65 calories per 330ml bottle – about half the calories of a 330ml bottle of 3.6% pale ale. This beer contains a little lime juice too to bring out the other citrus flavours provided by the hops. 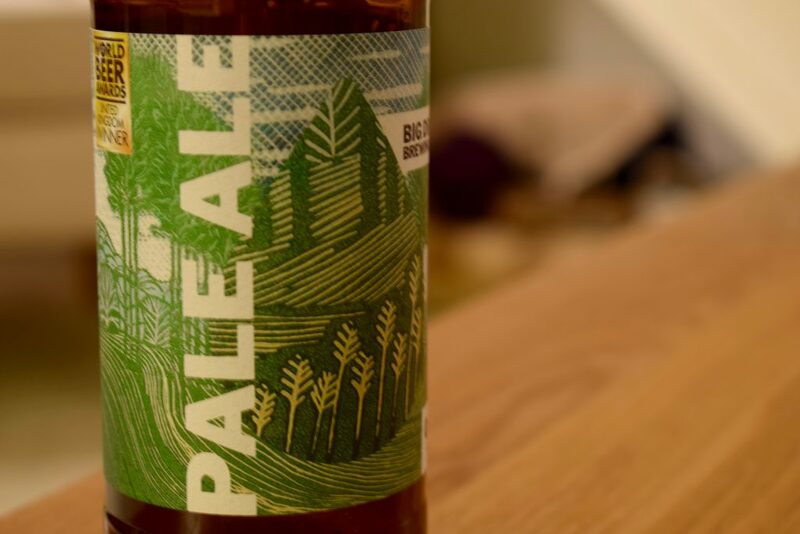 Pale Ale is a dry-hopped beer. This gives more aroma and flavour to the beer without adding more bitterness. But it means the beer costs more to produce because of the cost of additional hops and the extra time it takes. You certainly get a hit of lime and grapefruit when you crack open the bottle. There’s also a bit of pine and honey and a hint of detergent. It pours like a standard bottled pale ale and is golden, almost orange, in colour. There’s a decent head in the glass but it disappears quickly. On drinking, it’s lightly carbonated and smooth in the mouth with a body that would rival many session ales. There’s a lot of bitterness straight away and it gets stronger the more you drink. There’s a light caramel aftertaste but it’s overpowered by the bitterness. 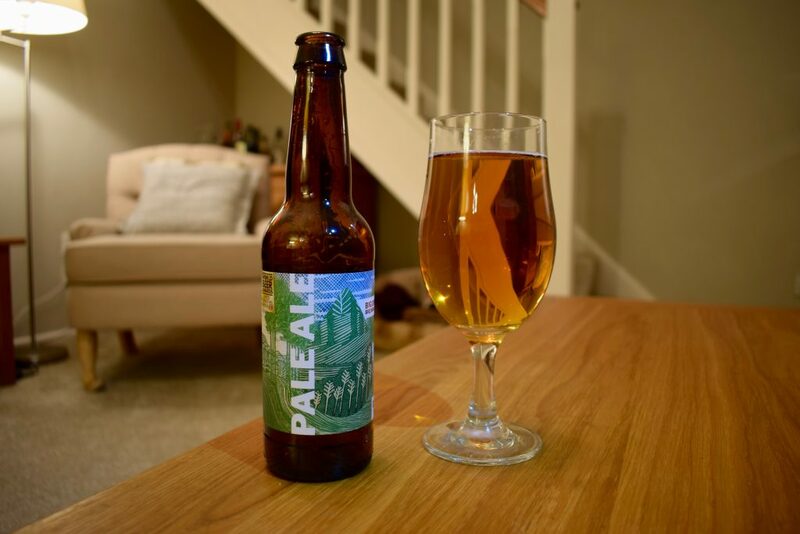 Pale Ale is a fine example of an interesting non-alcoholic beer. It’s refreshing and full of flavour and aroma. But it’s a little too bitter for me. It isn’t the best beer I’ve ever tasted. But it is much better than many full-strength pale ales.